..they sell their beers under only one name. ...providing pleasure in a glass for you! Have been brewing in Belgium continuously for at least 50 years. Be an independent, family-owned brewery. Sell each beer under only one name. There’s a story behind these fabled breweries and their beers, and this tour will take you there to learn the history, meet the families and experience pleasure in a glass. 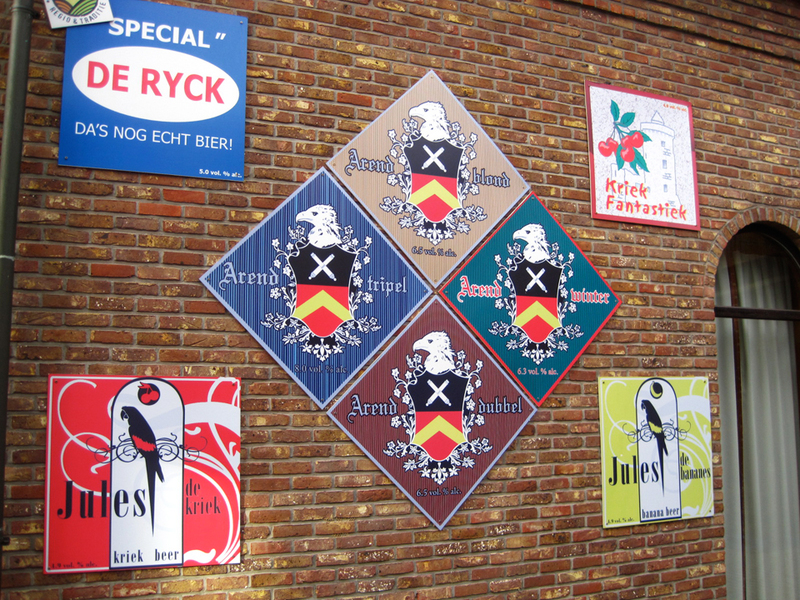 Learn more about the Belgian Family Brewers in this great article by Erik Verdonck. Each departure of this tour will feature a different group of the BFBs as time and availability permits. We will, however, endeavor to present opportunities to try beers from all the breweries in this association on each tour. You may not recognize the names of some of these historic breweries, but you will recognize their hundreds of popular beers, most of which are enjoyed in the United States and other parts of the world. Beers such as Brugse Zot, Straffe Hendrik, Scaldis (Bush), Arend, Saison Dupont, Duvel, Maredsous, Goudon Carolus, Ename, Hopus, Delirium Tremens, Abbot 12, Prior 8, Silly Scotch, Hommelbier, Lucifer, Palm, Rodenbach, Petrus, Timmermans and Duchesse de Bourgogne, to name just some. For a complete list, visit BFB Brands. This tour will also include the famous Belgian Beer Weekend Beer Festival, held on the magnificent Grand Place, Brussels’ medieval town square. This festival, staged by the Belgian Brewers Federation, features around 50 breweries (including some from BFB) serving more than 350 beers. Perfect September weather, with perfect beers equals a perfect beer festival. You’ll walk away from this tour with an even greater appreciation for Belgian Family Brewers beers and the families who brew them! Plans for this tour include overnights in Brussels, Bruges, Watou, Kortrijk and Antwerp. Nine nights accommodations in nice, friendly, centrally-located hotels often in the old town section of the city and some in bucolic rural settings. All breakfasts, three lunches and three dinners with gratuities. Canal boat tour in Bruges. Free-time sightseeing. Our guides are available to provide suggestions. We require a minimum number of travelers for a tour to be confirmed to go, so it’s important to sign up ASAP, as opposed to waiting until the deadline. Also, tours can fill suddenly, so signing up early guarantees your place and avoids disappointment. Please share BBM! tours with your beer enthusiast friends and encourage them to join the fun! Morning is free to explore the city. Then late morning, we’ll make another crack at the Belgian Beer Weekend Festival in the Grand Place. The Festival is organized by the Belgian Brewers Guild, which traces its roots to the 14th century, making it one of the oldest professional organizations in the word. There is much pageantry and fanfare, and a parade which begins the festival. One of the highlights is ceremony where new honorary knights are knighted, aka, enthroned by the Knights of the Brewers Mash Staff, which continues the traditions and nobility of the brewers trade as developed over the centuries. This is a serious honor bestowed upon only a lucky few.